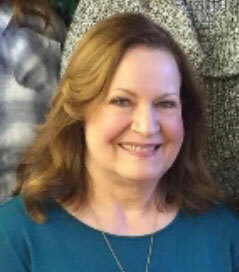 Judy began exploring her vocal abilities in her late 30's and had her first role as the gym teacher and chorus member in Hairspray (Center Stage Theatre) in 2011. She has enjoyed participating in the Civic's Senior Reader's Theatre for over five years including: A Salute to the Red, White & Blue in 2011, Songs from the Silver Screen in 2013, The Great American Song Book in 2015, Sounds of the 60's in 2017 and The Civic in Song: 1929-2018 in 2018. Also at Center Stage Theatre she was a chorus member in Mary Poppins and the recent Love is in the Air, a Valentine Cabaret. Another favorite vocal experience is singing Beethoven's Symphony No. 9 in German with the BeethovenFest Chorus and Symphony Orchestra under the direction of Dr. Barry Ross and Cynthia Hunter, 2012. Judy is a retired legal secretary from Kalamazoo County and her husband's tax office. She enjoys time in nature, especially by Lake Michigan, reading a well written mystery and spending time with her good friends. "Thank you Bruce, Elise and dear friends for supporting me in my vocal/theater pursuits!!!"